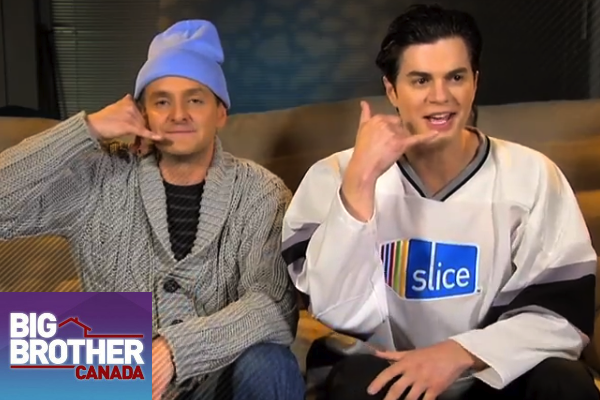 Big Brother Canada has a special surprise phone call for its fans by non other than past Big Brother winners; Mike “Boogie” Malin (Big Brother All-Stars) and Dr. Will Kirby (Big Brother 2). The two have the most famous alliance in Big Brother history. Throughout their time in the house, the two would “call” each other bragging about certain strategic moves they made in order to further themselves in the game or by throwing competitions in order to win luxury prizes. The two named their alliance Chill-Town, which has been the most fitting alliance name in the history of reality television. The newest promo for Big Brother Canada has the two making their famous phone call to one another, mentioning the upcoming inaugural season of the Canadian version of the show. Plus, we now have a confirmed start date – Wednesday, February 27th! Check out the hilarious new promo – Big Brother Canada Phone Call Surprise! and get ready for what should be one hell of an amazing first season of Big Brother Canada!